At Center City Dermatology we do more then just treat your skin. In addition to providing you with a comprehensive and customized treatment plan, we strive to educate our patients about the health of their skin. Having a better understanding of how to take care of your skin and a personalized regimen to use at home, your skin will be set up for success! Stephen D. Hess, M.D., Ph.D. is a board-certified Dermatologist with extensive experience in all aspects of medical, surgical, and cosmetic dermatology. Dr. Hess completed his dermatology residency at the University of Pennsylvania, one of the top-ranked dermatology training programs in the country. While at the University of Pennsylvania, Dr. Hess also completed a one year fellowship in cutaneous oncology which allowed him to develop additional expertise in the diagnosis and management of skin cancer. He received comprehensive training in pediatric dermatology at the Children’s Hospital of Philadelphia. 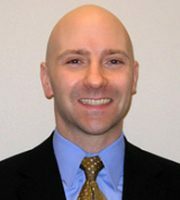 Dr. Hess has been practicing in the Philadelphia / South Jersey region since 2008. A native of Buffalo NY, Dr. Hess graduated from the State University of New York at Buffalo School of Medicine where he earned both his medical degree (M.D.) and a doctorate (Ph.D.) in Immunology at the Roswell Park Cancer Institute. He completed his undergraduate education at Wake Forest University in Winston-Salem, NC. Dr. Hess has published extensively in top medical journals in the fields of dermatology and oncology, and has lectured at numerous local and national meetings. He is a member of the American Academy of Dermatology (AAD), the American Society for Dermatologic Surgery (ASDS), the American Society for Mohs Surgery (ASMS), the Pennsylvania Academy of Dermatology (PAD), and the Philadelphia Dermatologic Society. Dr. Hess is also a Clinical Associate of Dermatology at the University of Pennsylvania, where he is involved in teaching dermatology residents and medical students. Dr. Hess is currently accepting new patients. He is committed to providing the highest quality medical care in a patient-friendly environment. 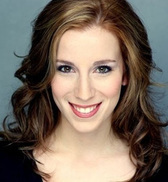 Samantha Colosi, MS, PA-C, was born and raised in Southern New Jersey. In 2013, she completed her undergraduate studies in Malvern, PA, where she received a Bachelor of Science in Biology from Immaculata University. In July of 2015, she graduated from Philadelphia College of Osteopathic Medicine with a Master of Science in Physician Assistant Studies. 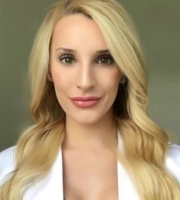 Samantha specializes in medical and cosmetic dermatology, treating both children of all ages and adults. Samantha treats a variety of skin disorders including skin cancers, hair loss, acne, rosacea, warts, seborrheic dermatitis, psoriasis, and eczema. She also enjoys cosmetic dermatology where she can use her artistic talents to get patients the results they desire. Samantha is well known for her non-surgical techniques using Botox/Dysport and softi-tissue facial fillers such as Juvederm and Restylane. Lip fillers, in particular, have become one of her specialties and most sought after procedures. Samantha is board certified by the National Commission on Certification of Physician Assistants and is registered in the states of Pennsylvania and New Jersey. Chelsea DiPilla is passionate about skin care. Following her studies at Rizzeri Aveda School, Chelsea furthered her education at the International Dermal Institute, Dermalogica, completing their expert program. From a small day spa, to a big casino and hotel spa, dermatology offices and now in Dr. Hess’s dermatology practice, Chelsea has been fortunate to work as an aesthetician in a variety of venues. This profession allows Chelsea an excellent arena to integrate her interests, aesthetics toolsets and the interpersonal skills she has honed over the years. It caters to her artistic nature, desire to be of healing service and drive to be on the cutting edge of the industry. Her passion is also found in the arts, as a professional actor and singer, as well as a producer for a special events company called A Saturday’s Child. She also donates time and energies to the Atlantic City Rescue Mission, charitable fundraisers and the local animal shelters.